Take a journey down the rabbit hole to an extraordinary world of mysticism, elegance and Salsa dancing within LA’s most enchanted Wonderland: the iconic Clifton’s Republic. How would I describe Clifton’s Cabinet of Curiosities in Historic Downtown LA? It’s a cafeteria, vintage bar, and kitschy “natural history museum” all rolled into one amazing and whimsical multi-level building. It’s one of the last remaining vestiges of golden-age Los Angeles charm. And now, I’m happy to report that it’s an incredible bi-monthly Salsa & Bachata dance venue as well. 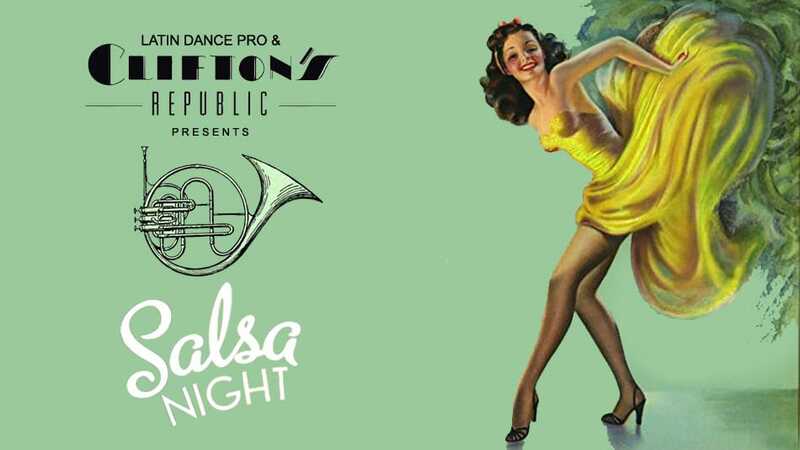 Orchestrated by Sergio Léal, Founder of Latin Dance Pro, voted one of the Top 5 Salsa Dance Instructor’s in LA by KCal 9 and CBS 2, the Grand Opening of Salsa Nights at Clifton’s delivered so much more than the masses were expecting. Yes, the masses! The scene was set by complimentary beginner and Intermediate Salsa lessons at 7pm & 8pm. As I entered the Brookdale Ballroom the sight before me was an astonishing one: the beginner lesson was underway and the entire dance floor was completely filled with smiling faces eager to learn a few steps before the social dancing began. As the Intermediate lesson time drew near, wondrous spectators and avid dancers kept filling the room. As social dancing grew closer, the energy emitted from the growing crowds was undeniable and there was only one thing to do: open up all 4 floors of this masterpiece of a venue for Latin dancing! People were dancing everywhere! Literally and figuratively! Being a part of the Latin Dance Pro team, the pride I felt as I witnessed Sergio’s vision manifest before my own eyes was indescribable. The majestic oasis, rich in vintage LA history matched his signature 1940s Old Hollywood swag. It truly is a match made in golden era and Salsa heaven. It was one of those things you just wanted to sit back and take in. To say the evening was one for the books is an understatement. It was one of those nights to be remembered and the lingering question on everyone’s mind that evening and the following days was: “WHEN is the next event?” Salsa nights will be hosted every other Thursday and the 2ndinstallment was mystical indeed. “Salsa Nights At Clifton’s” made the “Top Latin Dance Spots” list curated by “Discover LA” amongst Salsa venues that have been around for a significantly longer amount of time. 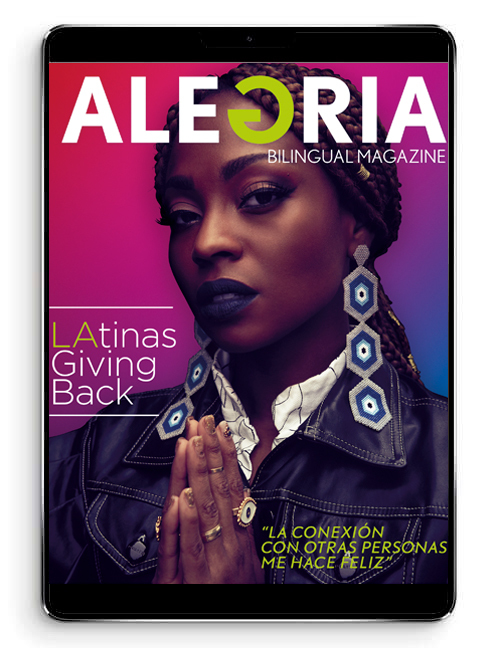 “Discover LA” even went as bold as to call Latin Dance Pro a “Los Angeles nightlife powerhouse.” This recognition was unexpected, especially two weeks out of the gate! It is instances like this were the saying, “If you do what you love, you will never work a day in your life…” THIS is the type of sweet success that passion brings. Form a part of the unforgettable memories that will continue to be created twice a month! If you want to experience that Old Hollywood charm, without that new Hollywood pretentiousness, come dance with us every other Thursday! You will be dancing on Cloud 9 way after the last song is played! ** DRESS CODE ENFORCED: The door will always strive to more quickly accommodate those whose style and imagination suits the environment at Clifton’s.